Pixar Pier’s grand opening is less than 2 months away. 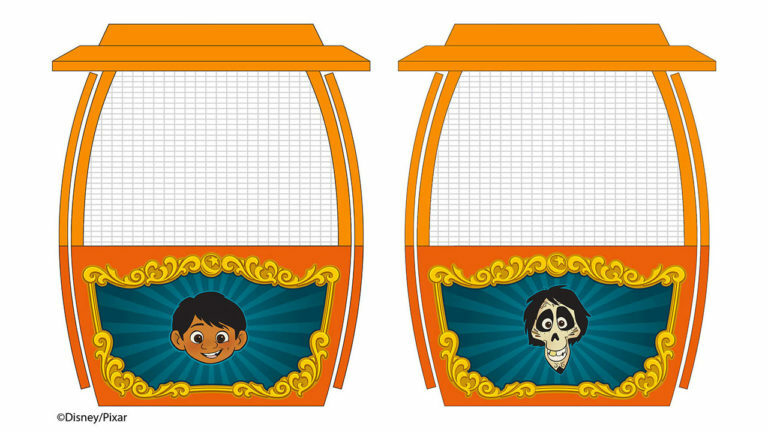 If the anticipation isn’t enough, Disney just released concept art for the Pixar Pal-A-Round ride vehicles. Formerly, Mickey’s Fun Wheel, the giant ferris wheel features full size stationary and swinging gondolas. 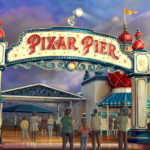 Pixar Pier will feature four distinct “neighborhoods”: Toy Story, The Incredibles, Inside Out, and a fourth neighborhood celebrating the stories and characters from beloved Pixar films. Pixar Pal-A-Round will be the focal point of the fourth neighborhood. The Disney Parks Blog shared artwork for the updated attraction earlier today. 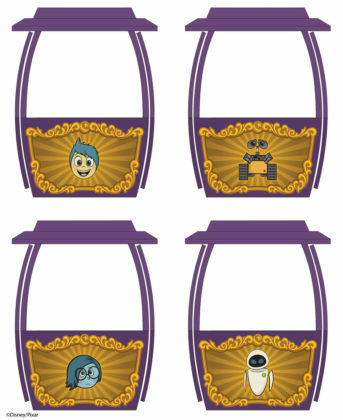 The favorite ride will now showcase best pals/friends from some of Pixar’s greatest stories. Mickey Mouse’s smiling face will continue to greet guests as they enter the Paradise Bay side of the pier. Pixar Pal-A-Round will have 24 ride vehicles that circle around the wheel. Guests can enjoy beautiful views of the park and Pixar Pier. 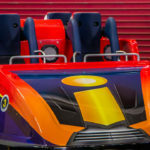 On Monday, Disney shared pictures of Incredicoaster’s ride vehicles with their new skins and color schemes. Disney released updates and concept art for all of Pixar Pier earlier this year. The redesigned pier will offer guests, excellent shopping, dinging, and photo opportunities. Guests visiting Disney California Adventure will want to stop by the Blue Sky Cellar. 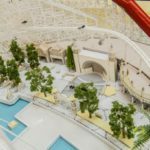 This preview center highlights all of the exciting changes coming to Pixar Pier, including concept art, and working model roller coaster! On April 13th, Disneyland Resort premiered its first ever Pixar Fest! Running throughout the summer the festival celebrates the magic of friendship. 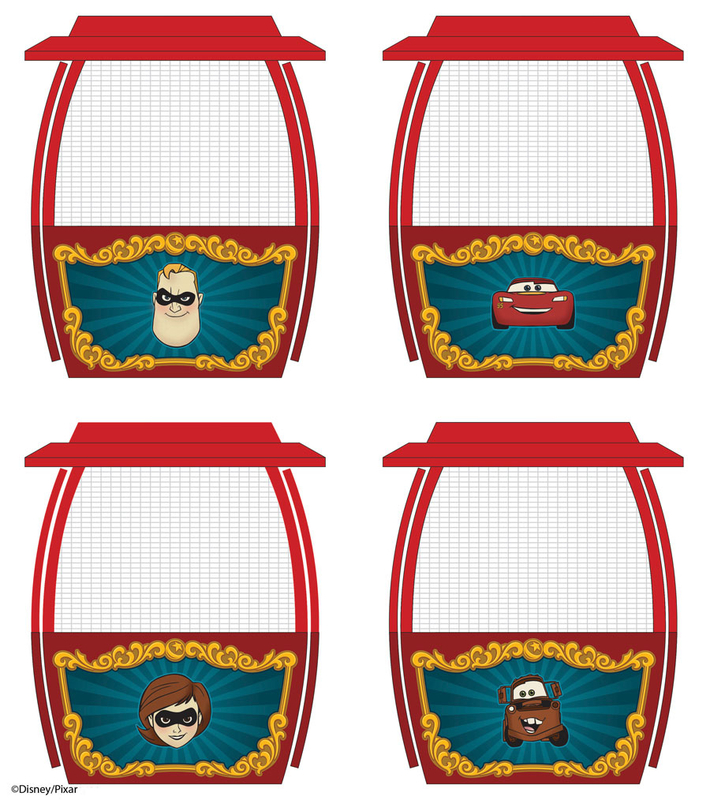 Pixar Pal-A-Round will open summer 2018 as part of Pixar Pier. Pixar Pier will officially open on June 23rd.